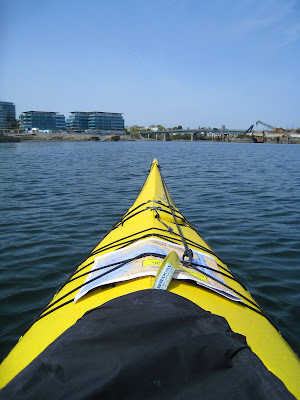 One of the first things I did after moving to the West Coast was to rent a kayak and paddle around the inner harbour of Victoria. 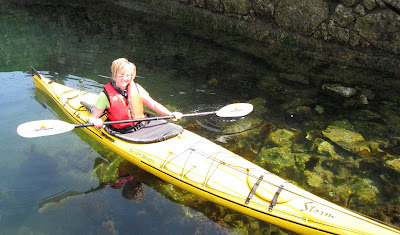 I quickly learned the perils of not following the paddling etiquette of one of the busiest landing strips in Canada. 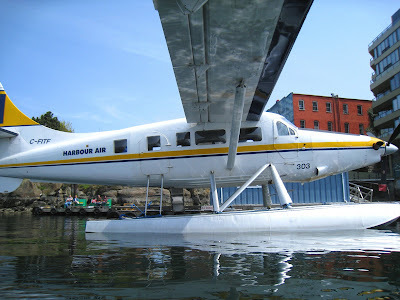 I also learned that although it is extremely fun to paddle under the wing of a floatplane, it is really unwise to do so! Now being a "veteran" paddler of one year, I take great delight in watching the tourists narrowly avoid floatplanes, ferries, pickleboats, and other harbour traffic.